Across race shops, you can imagine mechanics, truck drivers, motor builders, suspension techs, and other team personnel kicking their feet up and enjoying some much-deserved time off after sacrificing sleep and sanity for the first eight months of the year. Of course, nothing could be farther from the truth, but without races to prepare for every weekend, what’s keeping these people busy? Well, one of the first things that happens is taking care of everything from the season that just ended. 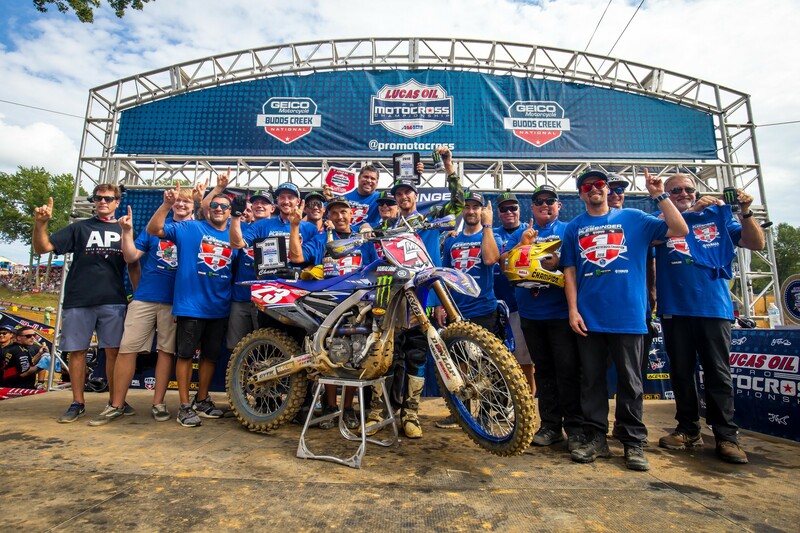 Things aren’t much different at Monster Energy/Yamalube/Star Racing Yamaha or Monster Energy Kawasaki. Brian Kranz, Eli Tomac’s mechanic, was back in the shop on Monday after clinching the 450 National Championship at the final national as well. He was immediately charged with building two more race bikes, although if he and Tomac didn’t have the MXoN coming up, he told us he’d probably take the week off before getting back at it. Time is also spent catching on up things in the shop, getting practice and race bikes accounted for, and deciding what stays and what doesn’t. There’s also the matter of the 2018 bikes. With new models already here, teams typically no longer have a need for the previous year’s machine. Turns out they sell them, but not before putting them back to stock and restoring them to almost-new condition. Similar stories are unfolding elsewhere, including at Star Racing. Don’t expect to find them at a dealer, though, as these bikes are usually sold directly from the team. If you want a Star Racing bike, you’ll probably have to have some kind of team connection—for some reason, Hahn declined our offer to include his phone number in this article for potential purchasers. Elsewhere in the race shop, there’s plenty of other things happening as well. The frequent arrival of new models means plenty of new parts, which means new parts lists are created, new numbers must be ordered, and space has to be cleared for them on parts room shelves. Inventory that’s no longer relevant gets cycled out. Time doesn’t wait for testing, either, and when we spoke with Soules for this article, Justin Hill was out testing some new things for 2019 that same afternoon. The focus quickly shifts to testing and 2019 prep for Monster Energy Kawasaki too. Then there’s the matter of dealing with the team trucks. Anything that’s been needing to be handled or fixed but wasn’t during the season gets fixed during the off-season. This process is even more involved if a team has two trucks. When we spoke with JGR, for example, their 250 truck was in Knoxville getting worked on while the 450 rig was receiving a deep clean. Delivering a truck somewhere for repairs may not seem like a big deal, but there are plenty of logistics to consider, including making sure it’s back in time for off-season races the team may be entering, like Red Bull Straight Rhythm or the Monster Energy Cup. 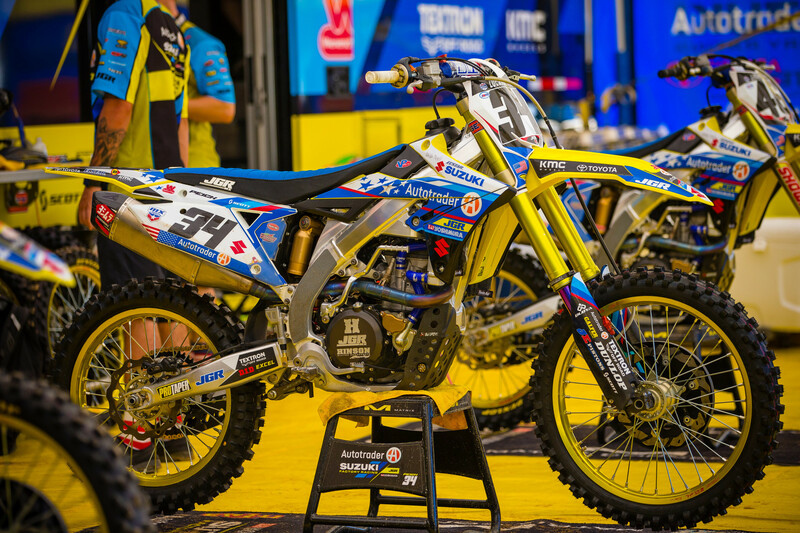 Things can get even more complicated if a team is renting their rig out for the Motocross of Nations at RedBud, like CycleTrader.com/Rock River Yamaha is to Team Germany.